OSRAM LED chain and signage portfolio contains high efficiency lighting components for both single and double-sided box signs as well as single-sided channel letters. OSRAM LED signage products are a perfect energy-efficient alternative to fluorescent lamps in a new or retrofit application to make your sign stand out among your competitors. OSRAM LED signage products use Flat-Ray optical lens to disperse the light for ultimate light distribution on your sign face. The optical lens allows you to place the products closer to the sign face, while avoiding hot spots, for an even brighter appearance. OSRAM signage and chain LED modules are optimally paired with OSRAM OPTOTRONIC® LED power supplies and OSRAM lighting controls. 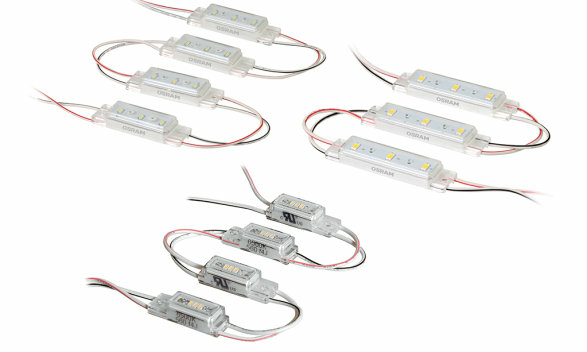 Single-sided chain of linear white LED modules that are an ideal substitute for fluorescent tubes. 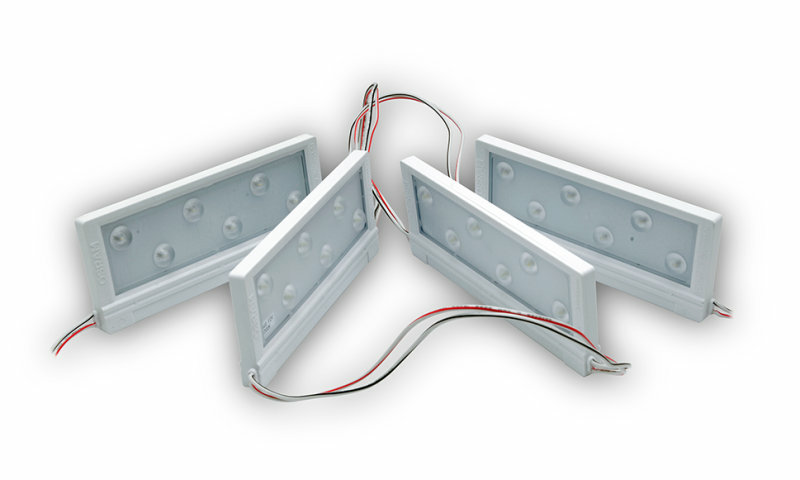 A chain of double-sided linear white LED modules ideally suited to replace fluorescent tubes in new and retrofitted double faced box signs. A chain of single-sided LED modules with 160° square distribution deliver a bright, uniform sign face. Ideal for signs as shallow as 2" and as deep as 6". 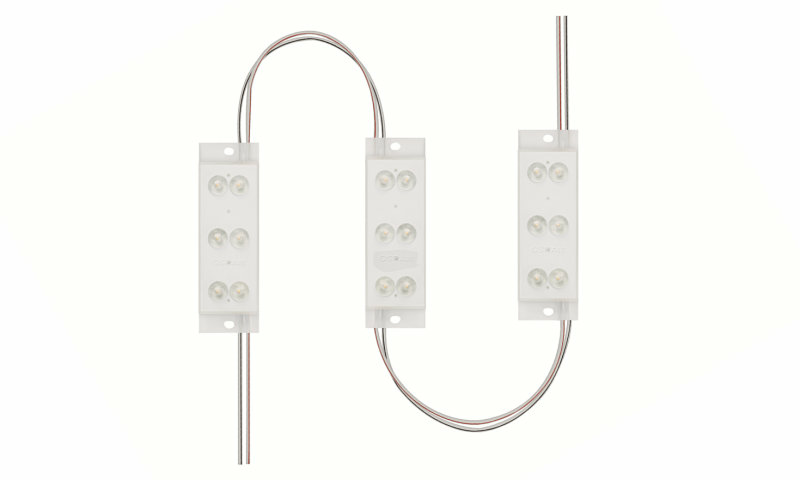 A chain of single-sided LED modules with 150° beam angles ensures a bright, uniform illumination ideal for shallower (3"-6") depth faces. A chain of single-sided LED modules with 120° beam angles deliver brighter sign faces and outstanding uniformity in deeper (5" to 8") channel letters. A single board, cuttable chain of LED modules connected with flexible cables. Ideal for channel letters that are 4” to 5” deep.